Mitski made he breakthrough from underground secret to rock music darling with 2016's Puberty 2, an emotionally-wrenching, gorgeously-produced album that dove into feeling of alienation and racial differences against a backdrop of fuzzed out guitars. There's a reason Iggy Pop called her "probably the most advance American songwriter I know." In 2018, Mitski (fulll name Mitski Miyawaki) returned with her follow-up Be the Cowboy. 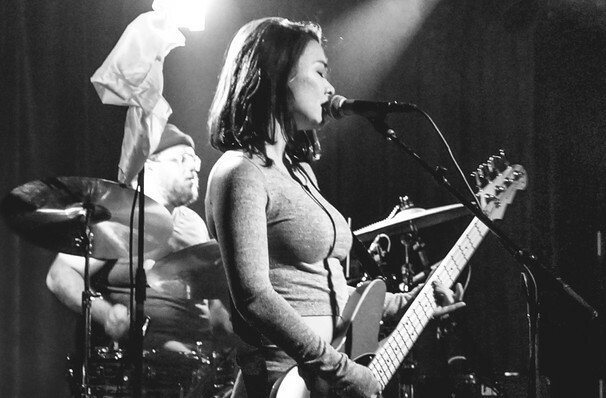 Experimenting with everything from alt country to pulsating synth pop, Be the Cowboy showed that Mitski was at home in any genre she tried her hand at. Highlights include the singles 'Geyser' and disco-tinged 'Nobody'. Seen Mitski? Loved it? Hated it? Sound good to you? 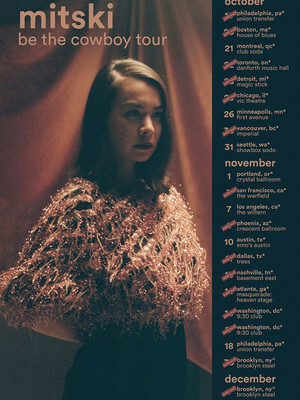 Share this page on social media and let your friends know about Mitski at Canton Hall. Please note: The term Canton Hall and/or Mitski as well as all associated graphics, logos, and/or other trademarks, tradenames or copyrights are the property of the Canton Hall and/or Mitski and are used herein for factual descriptive purposes only. We are in no way associated with or authorized by the Canton Hall and/or Mitski and neither that entity nor any of its affiliates have licensed or endorsed us to sell tickets, goods and or services in conjunction with their events.